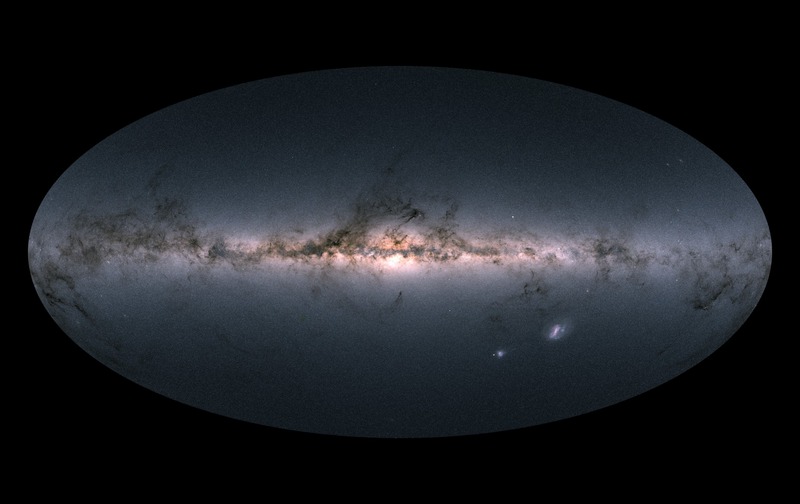 The Gaia mission is a space-based observational survey of over 1 billion stars in our local neighbourhood, the Milky Way. This will give a detailed 3-dimensional map of the Milky Way and is complemented by spectroscopic measurements of the same stars. The result is a detailed kinematic map of stars in our local neighbourhood, which is important, as we still do not fully understand why stars move the way they do in galaxies. Observations dating back to the 1930’s suggested that the rotation curves of galaxies do not fit with Keplerian orbits. For planets and asteroids in the solar system, their orbits are generally well understood and follow Keplerian laws. However, at a galactic scale it was found that galaxies rotated far too fast for the matter we could see. This discovery led to the concept of dark matter, which is needed to increase the orbital velocities of stars in galaxies. Along with the increased orbital velocities, stars are also observed to exhibit some randomness to their motion around the centre of galaxies. Obtaining a detailed kinematic map of our own galaxy can help us refine our current understanding of complicated dynamics within galaxies. 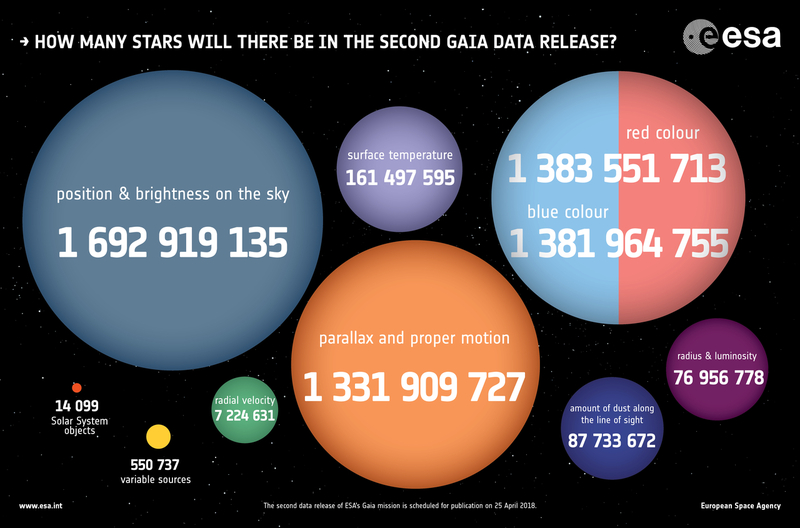 Future results from Gaia are likely to shape the future research of many astrophysicists. For myself, I am currently looking at how the movement of the Sun, specifically the passage through the spiral arms, can affect the Earth. This can be through enhanced Milankovitch cycles or gravitational scattering of solar system objects caused by close encounters with other nearby stars. Much of our understanding of the universe comes from how we observe astronomical objects move relative to us and one another. Therefore, creating the most detailed kinematic map of the Milky Way will help us appreciate objects we can not see and physics we currently do not understand. I also have an interest in gravitational waves and the types of objects that act as sources and other objects that we can use to detect their presence. The main science goal of another space telescope survey Kepler was to find new planets around other stars. It succeeded with now thousands of planets discovered and confirmed. However, secondary to the main mission it also discovered many new types of variable stars, like the heartbeat star. Due to the nature of the Gaia mission and its measurements various other secondary science is possible. For example, the detection of certain frequencies of gravitational waves, help constrain the cosmological constant (the rate at which the universe is known to be expanding) and even survey a large number of asteroids in the solar system. Gravitational waves are of interest to astrophysicists as they exist over a very broad range of wavelengths. At some of the smallest scales, compact binary systems comprised of black holes or neutron stars or neutron stars can have wavelengths on the order of km, while gravitational waves from the early universe in the form of a polarisation of the Cosmic Microwave Background can wavelengths on the order of megalight-years (1,000,000 light years). Detecting different wavelengths allows us to probe different physics and astronomical objects and get a better understanding of the universe we reside in.